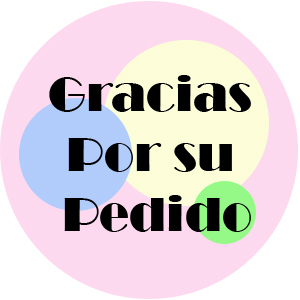 Thank You for Your Order (spanish) Stickers. Set of 63 stickers. 1 inch round stickers. Use them to seal bags and much more. Gracias Por su Pedido.